We are a niche firm established in 2006, that puts our clients first and we are highly experienced in all areas in which we specialise. We pride ourselves in our expertise and not undertaking work in areas we do not have the required expert knowledge. One of our strengths is our rapid response to an enquiry and indeed in relation to any work that we carry out. We offer a very personal service and hands on approach and all telephone calls from clients, agents and third parties are responded to at the earliest opportunity. From inception our office was based in Bricket Wood, St Albans. This enabled us to offer more competitive fees to our clients due to a lower cost base. As the business expanded we outgrew the offices in St Albans and moved to new premises in Elstree. We continue to retain the office in Bricket Wood as a convenient meeting place for local clients. We are required to annually collect, report and publish data on the diversity of our workforce. This report is available for download. As from 25th May 2018 the new data protection laws (GDPR) will be enforced, replacing the 1995 Data Protection Directive. This data is any information relating to an individual, whether it relates to his or her private or professional life. For example a name, address, a photo, email address or bank details. As required by the SRA we will keep your data for seven years after which time we will destroy all documentation relating to the matter and all clients personal details connected with the transaction. If you require us to destroy your personal details before the 7th anniversary of the end or closure of your matter you must contact the office. 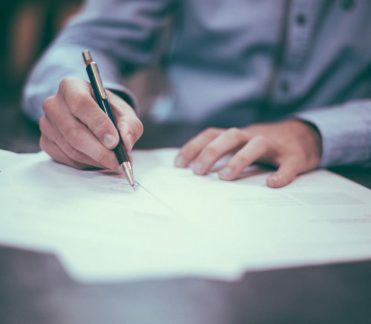 With regard to Wills in accordance with the SRA regulations all Wills and any personal information referred to therein will be held until such time as we are informed a new Will has been written or the estate administration has been concluded. We advise on many aspects of law which affect businesses and commercial activities from company formations, service agreements and sales and purchases. We also have vast experience in dealing with offshore commercial entities and transactions. We undertake the sale and purchase of all commercial property including acquisition of leases and the preparation of new leases. We will assist you with applications for entry clearance to the UK. We will help you through the points based system to apply for visas as well as those required for partners and spouses. You have been astoundingly efficient, helpful, professional and positive throughout all the various strains and stresses.. Absolutely amazing! !